This post was written by guest contributor Seth Williams (@retipsterseth, G+), an experienced land investor, commercial real estate banker and residential income property owner. Seth is also the founder of the REtipster Blog, a real estate information hub offering real-world guidance for part-time real estate investors. If you’re a real estate agent or investor, or someone who provides services to either of these groups, there is something we all have in common: We all need access to good information. I think everyone can agree that we would all be seriously inhibited from doing our jobs if we didn’t have access to the essential data that allows us to make informed decisions … but when you think about it, it’s a lot more than mere “information” that we need access to. Connections with all the right people. The right technical knowledge to gain access. Fast (providing conclusive answers in minutes, not days or weeks). User-friendly (you should be able to use it without a degree in computer engineering). Consistent (a process that requires similar, repeatable action steps for each inquiry). Reliable (information that can be trusted for accuracy). Affordable/free (a service that everyone can access without breaking the bank). In my years as a real estate investor, I still haven’t found a service provider that has single-handedly mastered this process (meeting ALL of the criteria above). It’s been a frustrating dilemma that most of us have learned to tolerate because when there is no other all-inclusive option on the market, we frankly don’t have any other choice. I’ve stumbled across several services that have met two or three of these criteria above, but for some reason it seems to be exceedingly difficult to provide information that’s fast, easy, consistent, reliable and affordable. How have I managed to deal with it? By relying on two services with different capabilities that seem to complement each other. This service is available with a relatively inexpensive paid subscription. 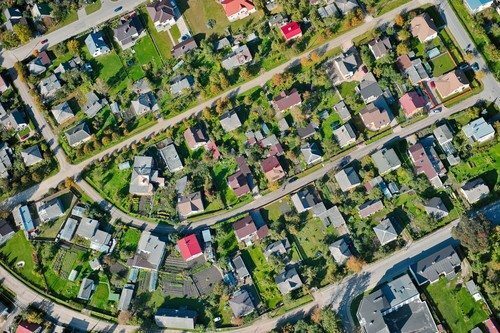 If you’re trying to do some basic research on a property (anywhere in the United States), AgentPro247 will provide a truckload of helpful data that is fast, easy, consistent and affordable. For a quick overview on how I use AgentPro247 to research the properties I buy, take a look at this video below. Both of these resources have been immensely helpful to me and I’ve used them to research hundreds of properties around the country. Do you know of any other online services that provide inexpensive, easily accessible, user-friendly, consistent and reliable property data? If so, let me know in the comments section below!